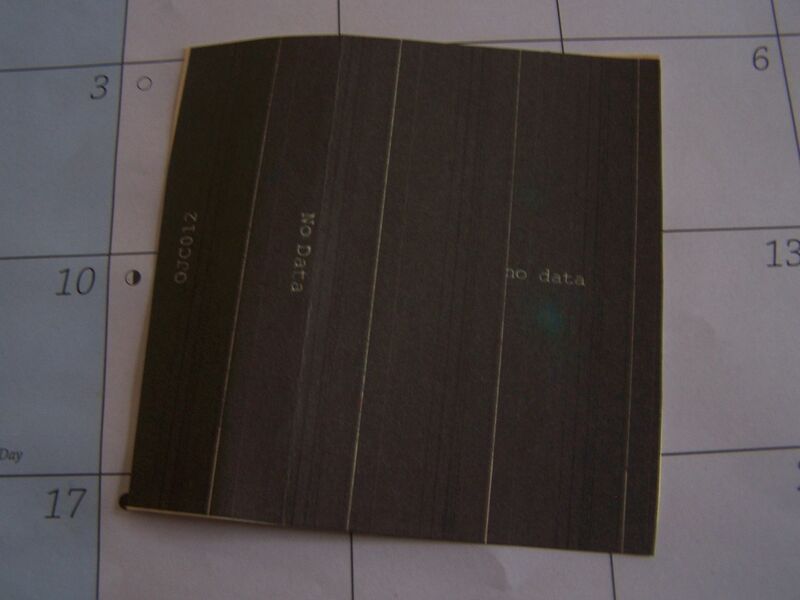 The idea behind "no data" obviously makes me think of when you try and press play on a CD player and there is no CD in there for it to read so I was thinking this might be somewhat minimal- we're talking really minimal here- but I'm kind of glad that it's not. 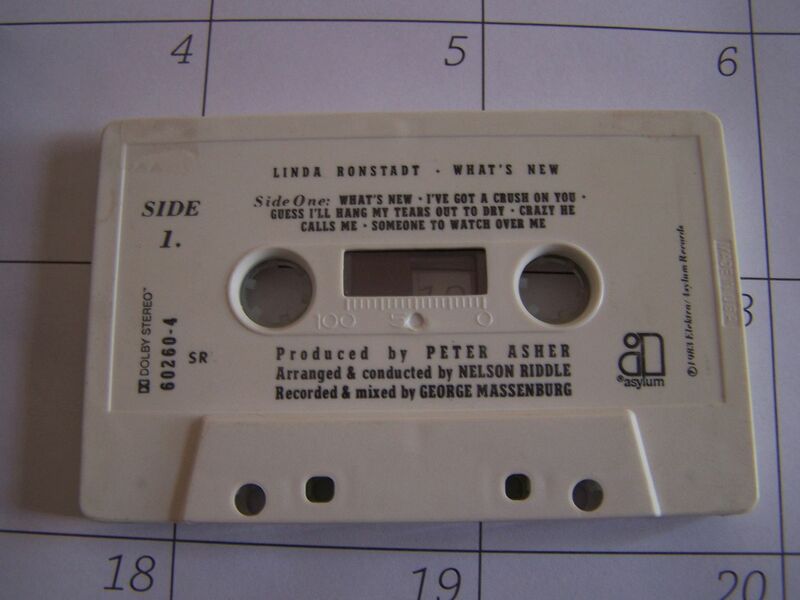 It's also interesting that this is dubbed over a Linda Rondstandt cassette because we recently had to get a new car and we "upgraded" to a CD player within the car so my wife is looking for CDs to listen to (despite my telling her it's a dead medium) and while at Walmart one day I showed her a Linda Rondstandt CD she seemed less than thrilled to be offered up. Oh well, her loss. 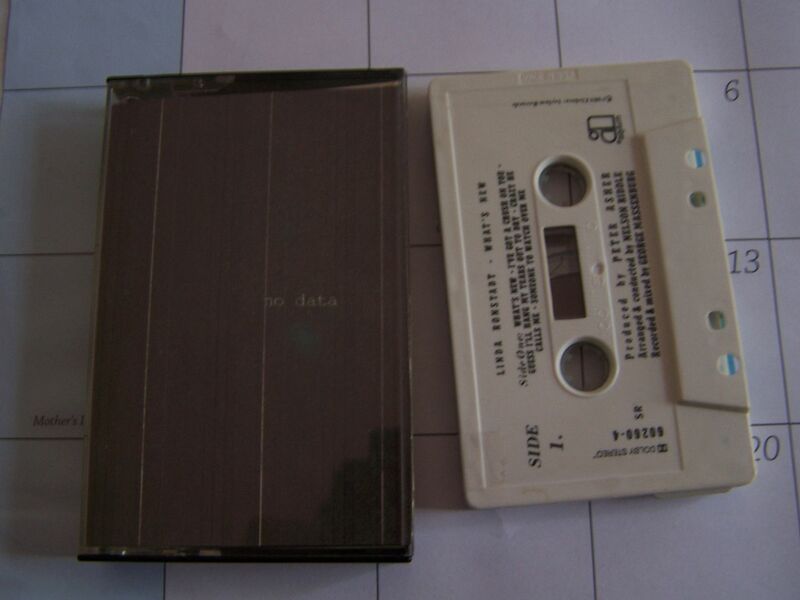 This self-titled cassette begins with a strong lightsaber hum. Whirrs come through to interupt it and then it begins to take on the sound of some sort of space themed video game. There are antenna whirrs which come through in a loop, and I'm not sure if that's the technical term but since I'm using it for the first time I will just say that it pretty much means what it says, if you think of it in terms of someone holding an antenna. There are a few breaks within the side, as it seemingly flows from track to track, one taking its leave as another appears. The hum returns as we begin to feel Lost in Space. Static crashes. It begins to get choppy as it builds to a huge static apocalypse. Through a wind tunnel static skips turn into laser whirr skips and then there are just lasers with what appears to be talking behind them. Someone laughs and then the talking comes out in a deep way, but not so much like it's manipulated in the sense of "Arrow" or, you know, someone who wants to disguise their voice but it's more like when the batteries start going on your tape player and everything slows down, only just the vocals are stretched out here. (Can I start using "stretched out" instead of "screwed" now? Because I still don't like "screwed") R2D2 makes an appearance and then there is more talking as laser shots are fired and somehow this cassette ends right at the end even though it was dubbed over someone else. 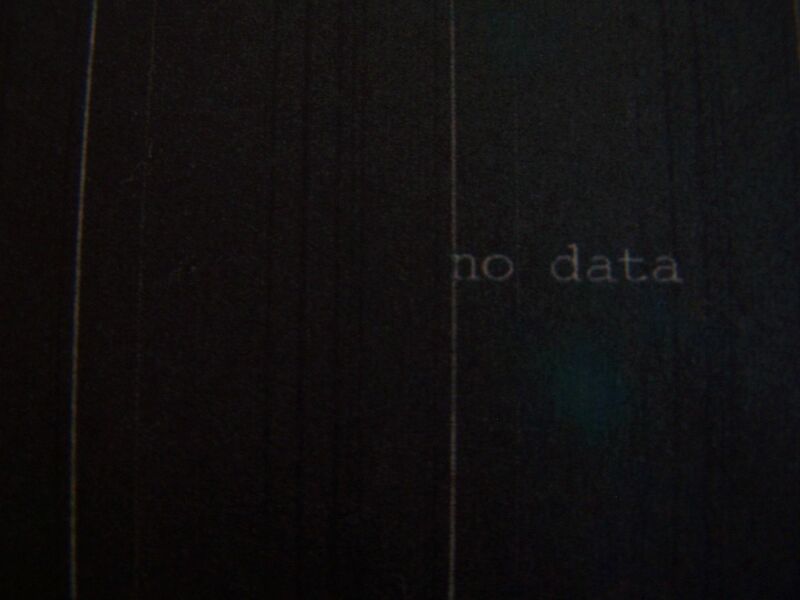 No Data and Linda Rondstandt must be on the same page. Side B opens with some chopped up talking that sounds like either it was recorded in public or is an answering machine message. Beats come through next and begin to form a rhythm which is met with static skips. Through some sort of beeping comes some sort of speaking and it's not quite a musical instrument (such as a trumpet) and it's not quite a car horn, but it's something along those lines. The wind tunnel engulfs it all none the less. The next hum that comes out has a certain video game feel to it, such as Pong. It's forming a bit of a rhythm as something behind it also appears to be some form of banging. Is this electronic noise? Why am I just realizing that now, after typing out my notes and so many listens? A loud modem screech takes us into the next section. The dialup connection becomes somewhat static now and my three year old tells me he hears R2D2 in the tape player. He wants to know what he's doing in there, as the beeps come through like a lost modem, trapped in space. Imagine if we had to communicate with another planet via dialup? This is kind of like what it might sound like. Little skips bring out larger whirrs and then a sound comes out that I know is electronic based but still sounds like some sort of bugle. It's blaring with electronic circuits behind it to form quite possibly the best band of fifth grade robots ever. And, yes, I do begin to hear cymbals crash as well. A series of notes take us through an up and down ride, perhaps on some carousel though I still support the notion that this is based in space and so I can only imagine what amusement parks must look like there considering the means by which we would have to travel to get there. It's a loop that has some other variations behind it- such as space whirrs- and it is certainly a progression that gets stuck in your head and is perhaps also even borderline oompah band in its orientation. Though the pattern seems to remain the tones do somewhat change throughout as the static builds and it begins to move from the front to the backseat. A crackling like some sort of electronic camp fire brings out these sounds that can only be described as some sort of morse code mixed with something I can't quite put my finger on. 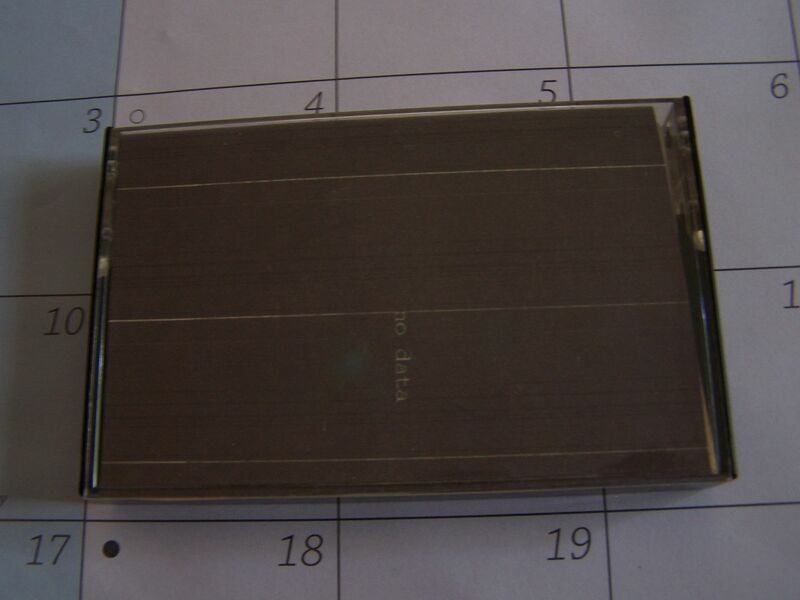 And yet again, the side comes to an end at the same time as the original material. 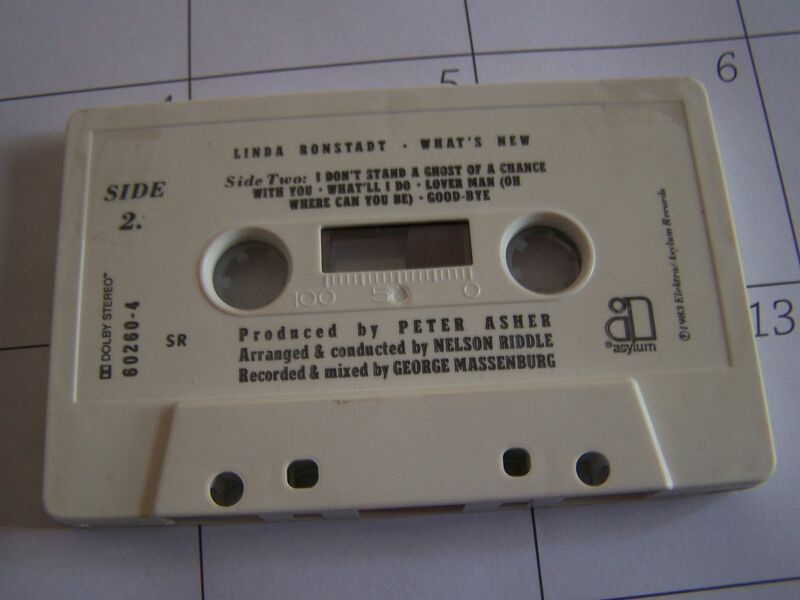 I actually looked at the audio on the Bandcamp and the length of Side B is about five minutes longer than Side A on there, so how it works out that this can seemingly be even on cassette is some kind of magic I assume only Linda Rondstandt herself can explain. Regardless of any shout outs to Linda Rondstandt that this might bring, it remains a fine demonstration of space exploration with just the right combination of noise and electronics so as to not ever really venture into one genre over the other. That is to say, I would consider this strictly "noise" or "electronic" as it has enough components to keep it floating around through other genres just as the sounds themselves can make you feel as if you are travelling in space. And who wouldn't want to feel like that?